The Middle School builds on the foundations which have been laid down in the earlier years. Adolescents are thinking and working more like adults. It is an exciting and challenging period of physical, intellectual and social growth for our young adults and our academic program is delivered to support this growth. The Middle School program is designed to offer an all-round foundation for students to pursue an academic and rigorous curriculum when they reach the IB Diploma Years. 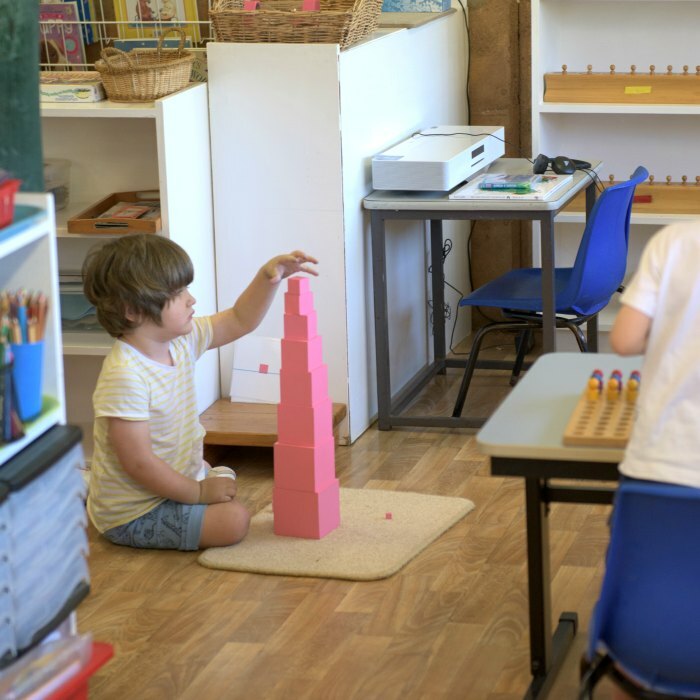 Students in Middle Years are well prepared by the education they received in their Montessori Primary years to be motivated, self-regulating and self-directed learners. Treetops’ strives to provide an environment where students feel secure, recognised and also offers them challenges and opportunities to try new paths and discover where they may want to go as they become adults. The WA Curriculum is used in the Middle School and we endeavour to keep the spirit of Montessori alive in the teaching. This program is tailored to students who enjoy learning and have a deep interest in the world around them. The school offers a fully equipped Science laboratory and commercial kitchen and Literacy and Numeracy is supported and balanced by specialist Visual Arts, Physical Education – including interschool sport opportunities, a fully integrated Music program and Japanese as a second language. Middle School students are an important part of our school community and essential members of the student body. They are expected to be full participants in all aspects of student and community life – the school encourages that the students partake in many of the community service opportunities available to the school during the year. The International Baccalaureate Organization aims to develop inquiring, knowledgeable and caring young people who help to create a better and more peaceful world through intercultural understanding and respect. To this end the IBO works with schools, governments and international organisations to develop challenging programmes of international education and rigorous assessment. These programmes encourage students across the world to become active, compassionate and lifelong learners. Treetops offers students two course options in Year 11 and 12: the IB Diploma Programme and Treetops Courses Programme. Treetops has chosen the IB Diploma as our University entrance programme because of its student-centred, holistic and international approach to education. The IBO philosophy is closely aligned with that of the Montessori movement in general and Treetops in particular. The overall aim of the IBDP is to develop internationally minded people who, by recognising their common humanity and shared guardianship of the planet, help to create a better and more peaceful world. The Treetops Courses programme began in 2016. Treetops also offers a range of Vocational Courses, ensuring our students can access a wide variety of secondary school options whilst still enjoying the benefits of small class sizes and individual guidance and support. An alternative pathway to University, the Courses Pogramme may be tailored to suit the individual student. Treetops is well known for its nurturing environment which supports the intellectual, social, physical, spiritual and emotional development of each of its students. 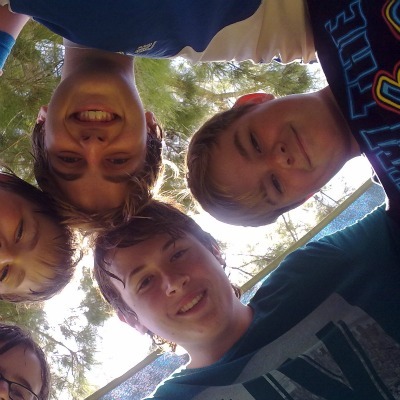 The IBDP therefore brings to Treetops exciting links with the international community. The Learner Profile is not just a list, it is part of Treetops vision. The community at Treetops; students, teachers, staff and parents aspire to be good representatives of the Learner Profile. It offers a values system that transcends the learning in the classroom and is the cornerstone of every facet of the school. The IBDP is, of course, more than just a university entrance qualification; it is a preparation for life and many successful IBDP students go on to something other than study at university. The first year of IB (Year10) enables students to consolidate previous learning and to further develop their skills in independent, critical thinking. Students attend work experience sessions and are encouraged to know themselves and to find their unique place within the world. 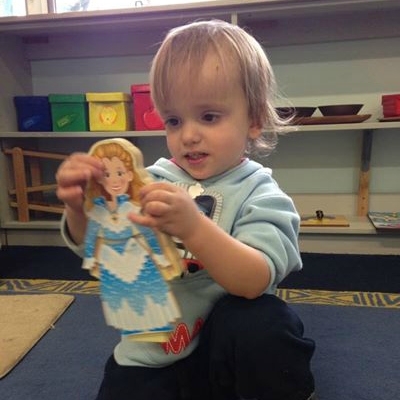 Aside from their academic studies, Senior students are important role models for the younger children at Treetops. These students also join the older Diploma students in the Theory of Knowledge studies. This provides them with a valuable insight into the nature of the International Baccalaureate Diploma Programme and assists them in deciding whether or not to take on the commitment of the Diploma for their final two years. The first Treetops IBDP candidates successfully graduated in early 2011. Read more about the IBDP on our Frequently Asked Questions page.